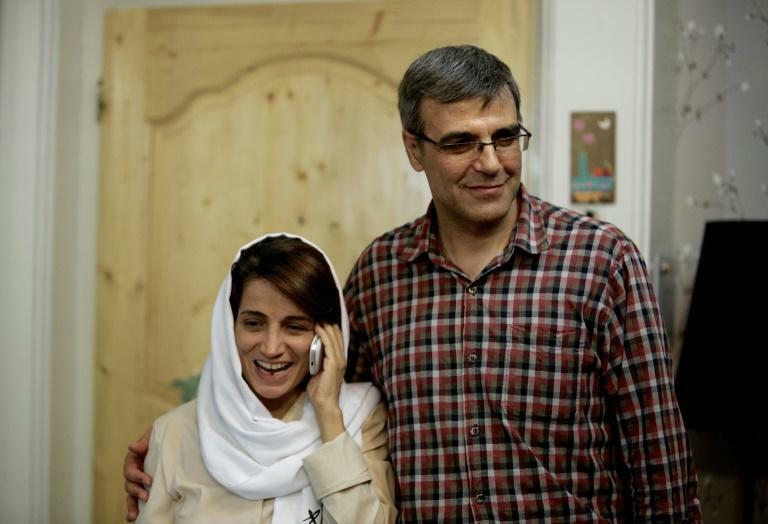 The husband of the imprisoned award-winning Iranian human rights activist Nasrin Sotoudeh has been arrested, their lawyer told AFP on Wednesday. "Reza Khandan was arrested on Tuesday morning at his home in Tehran by agents of Iran's intelligence ministry", their lawyer Mohammad Moghimi said. He was transferred to Evin prison in northern Tehran where a judge charged him with conspiring against national security, propaganda against the system and campaigning against Iran's Islamic dress code. The last charge was based on the fact that badges were found in the family's home, saying "No to compulsory hijab", the lawyer said. Khandan's wife is one of Iran's most famed rights activists and won the European Parliament's prestigious Sakharov human rights award in 2012. She was arrested in June and told she had already been found guilty "in absentia" on spying charges by Tehran's Revolutionary Court. Khandan's bail was set at 7 billion rials (roughly $50,000 at current rates), which Moghimi called "legally unacceptable". Khandan and Sotoudeh's 18-year-old daughter and 10-year-old son were home at the time of the arrest and are now being cared for by their aunt, he added. Moghimi said that Khandan's charge of propaganda against the state was due to his interviews with international media on his wife's imprisonment and ongoing cases. Human Rights Watch said Iran had "ramped up their crackdown against human rights defenders". "Iranian authorities continue to dig a hole for their domestic and international credibility as they lock up scores of lawyers and activists for the 'crime' of defending citizens' fundamental rights," said the NGO's Middle East director Sarah Leah Whitson. One of Sotoudeh's lawyers, Payam Derafshan, was himself arrested last week along with colleague Farokh Forouzan, according to a Facebook post by another human rights lawyer.